It is said that every morning dewdrop or raindrop contains an entire heaven within it... These stunningly curved little red heavens are sure to hang gracefully from your ear. Radiant red coral and sterling silver ... Read more. It is said that every morning dewdrop or raindrop contains an entire heaven within it... 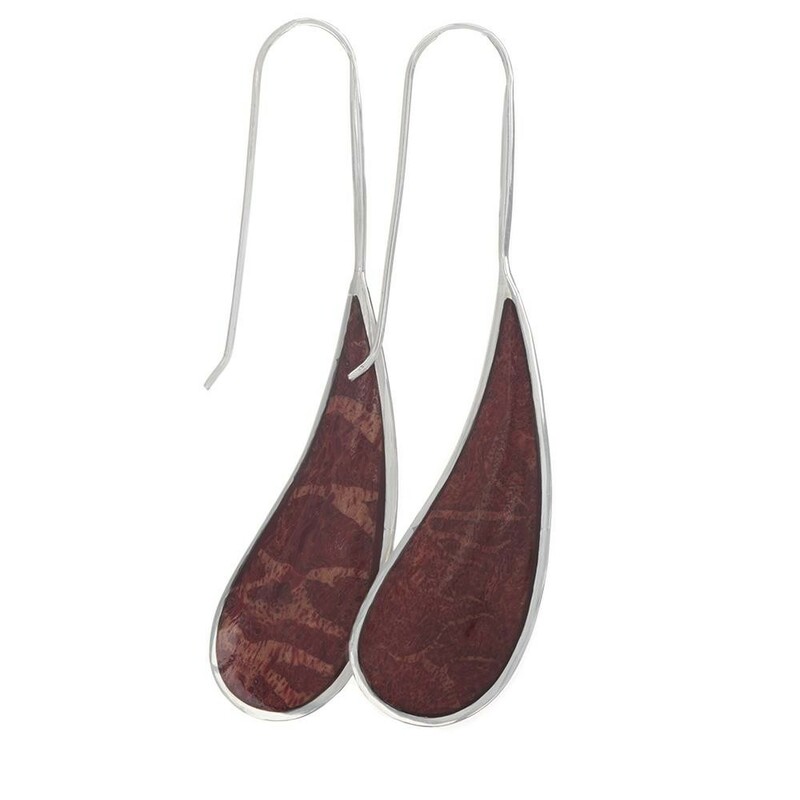 These stunningly curved little red heavens are sure to hang gracefully from your ear. Radiant red coral and sterling silver hook earrings of simple, and yet highly elegant design which project an undeniably stylish, modern look. Light as a feather to wear... be it at work or for a night on the town. Wear them with full confidence, on any occasion you have the urge! Carefully handcrafted by a Balinese artisan. *Please note dimension length includes the hook of the earring.